Featured on the San Diego Reader, Poster Correction. Here is the full album. Visit this link for a shorter album and a description of all. Also, I posted that my next brewery tour was going to be Saturday, November 24th. I made a mistake and meant November 28th. As of now, I have not receive any emails about it, which makes me wonder what am I doing wrong… But I do receive a lot of messages of people telling me they will come on a tour a different day. I will be posting the next tour as soon as December starts and depending on how good this one goes! Hopefully this will increase the tours. I love showing the city and meeting new people! 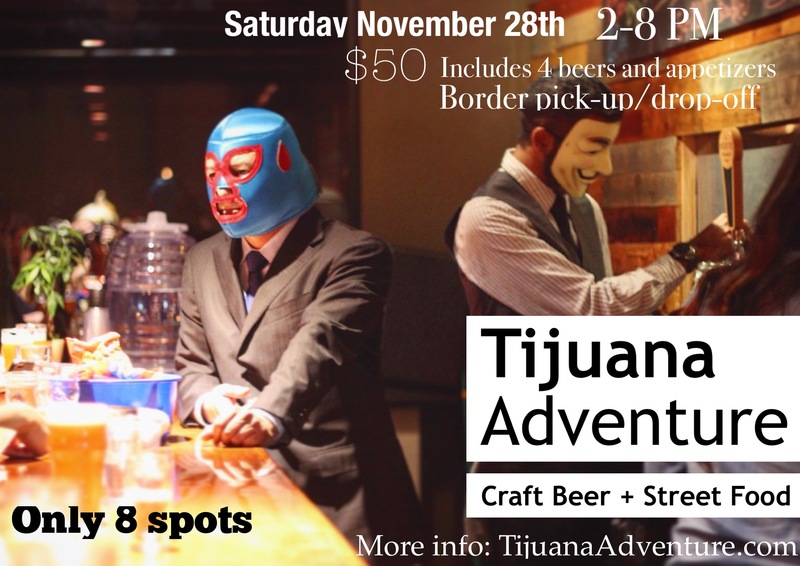 PreviousBrewery and Street Food Tour November 24th.